Treme Season 1 Episode: 1 - Do You Know What It Means? Treme Season 2 Episode: 4 - Santa Claus, Do You Ever Get The Blues? Treme Season 2 Episode: 8 - Can I Change My Mind? 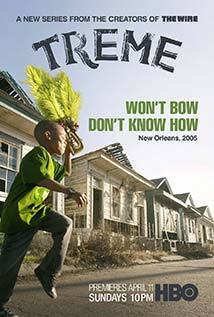 Treme Season 2 Episode: 9 - What Is New Orleans?